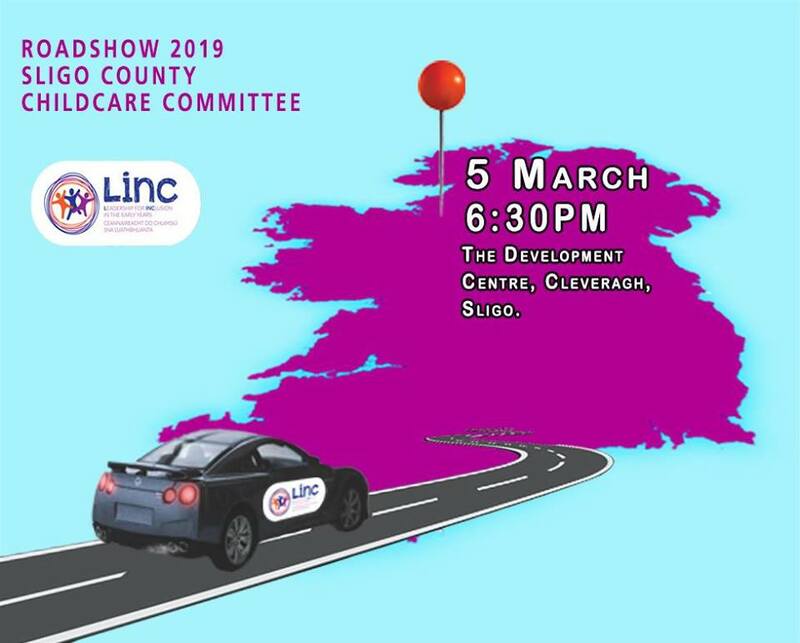 In advance of the opening of applications for the LINC course this March, a tutor from the Leadership for INClusion in the Early Years programme will be hosting an information session in association with Sligo County Childcare Committee. This information session will take place in The Development Centre, Cleveragh, Sligo on the 5th March at 6.30pm. LINC is a free (fully funded) higher education blended-learning programme designed for early years teachers, to promote the inclusion of children with additional needs. After completing the programme, graduates will carry out the role of Inclusion Coordinator and will also meet the educational requirement for room leader status. Once a qualified graduate is working within an early years setting as the INclusion COordinator, the setting will be entitled to an extra capitation payment of €2 per ECCE/CCS/TEC qualified child. Further information about the programme can be found by visiting the LINC programme website www.lincprogramme.ie.